Pu-erh tea is a famous Chinese tea known for its unique aging process. Like fine wines, these teas get better with age. They develop rich, full-bodied flavors that have crisp notes and hints of sweetness. The longer they are aged, they deeper their flavors become. 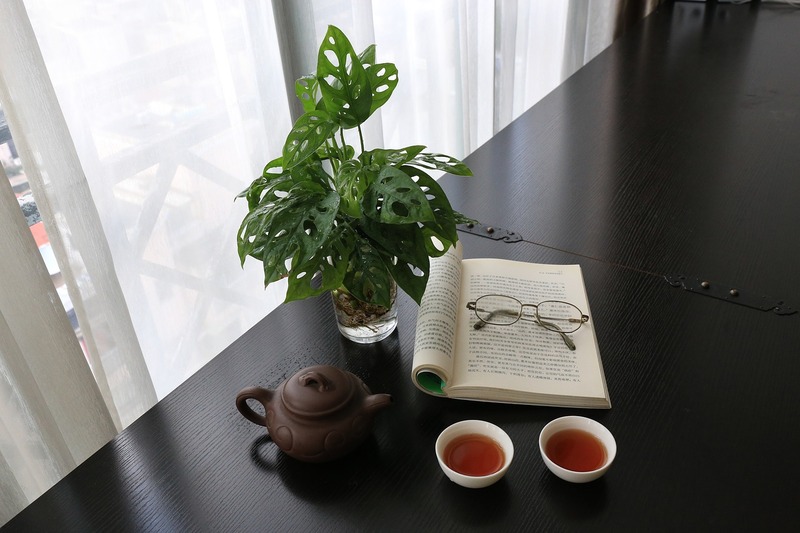 The aging process also helps to enhance the health benefits of pu-erh tea. These benefits include accelerated weight loss and improved immune performance. 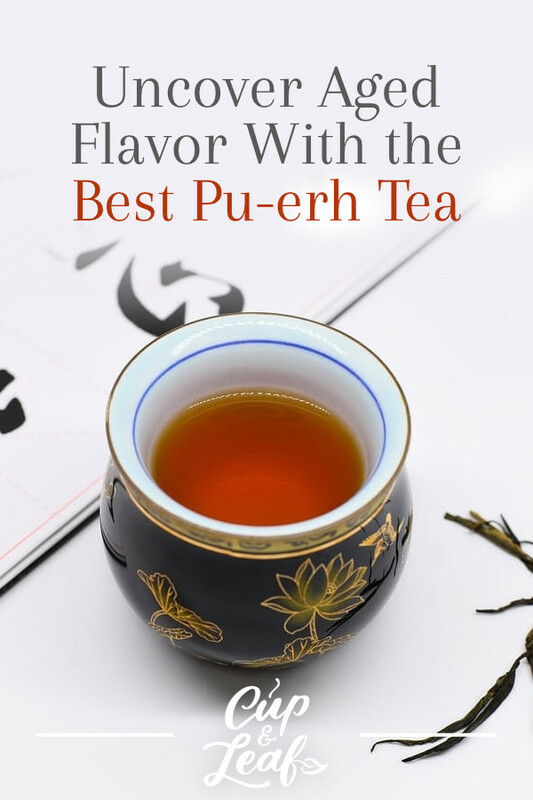 Find out what makes pu-erh tea so unique and discover the best varieties. Unwrap a pu-erh tea cake and discover a world of flavor fit to please even the pickiest tea connoisseur. Looking for robust and varied flavor? Check out our collection of the best pu-erh teas right here. In China, pu-erh tea is known as black tea, while the black tea we are familiar with in the West and North America is known as red tea. Pu-erh tea is made from the leaves of the tea plant known by the botanical name Camellia sinensis. This tea is called bo nay or po lei in Cantonese and is frequently spelled as pu-er, puer, or pu'er tea. Pu-erh tea comes specifically from the var. 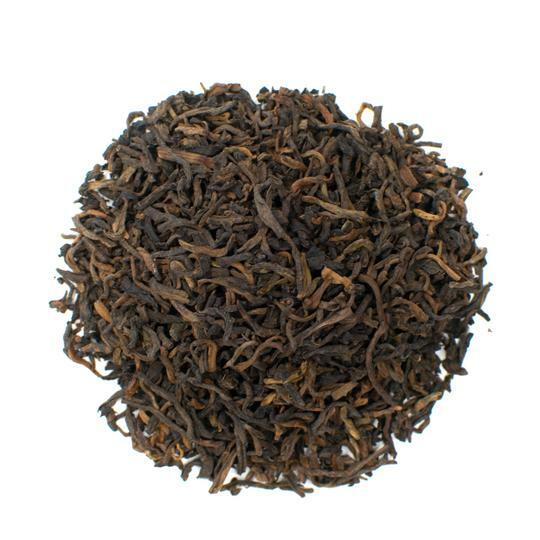 assamica variety and is grown exclusively in the Chinese Yunnan Province. Pu-erh tea is one of the only teas to receive a protected origin designation from China. This means that only teas produced from this specific variety and in Yunnan Province can be called pu-erh. This designation is similar to the European Union protection of Parmesan cheese from Parma and wines from famous regions. In China, the restriction is not policed or executed well. As a result, there are dozens if not hundreds of knock-off pu-erh teas. For the best flavor, look for traditional varieties grown in Yunnan, China. Pu-erh tea is cultivated mainly along the Lancang River in China. Dozens of tea estates dot the shoreline and mountainsides. Each producer makes a unique blend of pu-erh tea. Some estates use tips of tea leaves and stems while others use only large, silver leaves from hillside plants. The main pu-erh growing regions within Yunnan include the Yiwu, Bulang, and Jingmai Mountains. The tea trees in this area have been around for hundreds of years. Some of the more expensive pu-erh teas come from plants that have grown for over a 1,000 years. The leaves cultivated from the ancient trees are known as 'wild arbor'. Most pu-erh tea is produced by large tea factories in China, which are controlled by the China National Native Produce & Animal Byproducts Import and Export Company known as CNNP. The most famous pu-erh factories include Menghai Tea Factory and Xiaguan Tea Factory. Pu-erh teas follow a production process similar to green tea. The leaves are harvested, withered, rolled, dried, and shaped. The difference among pu-erh teas arises from the production process. Ripened pu-erh teas are also cooked, resulting in a darker color and richer flavor. Raw pu-erh teas are more similar to green teas since they are not roasted or cooked in any way. There are two main types of pu-erh, raw and ripened. Raw pu-erh leaves are similar to green tea in terms of production. Ripened pu-erh teas are stored for years to develop and enhance flavor profiles. 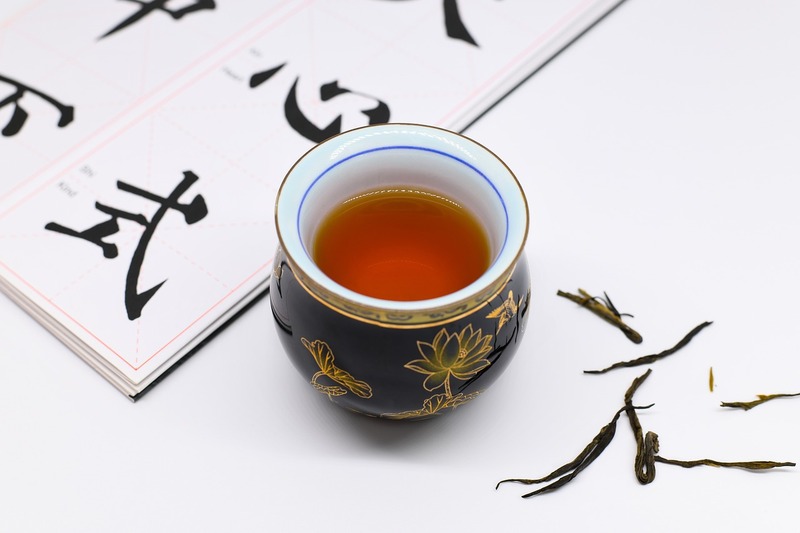 Both types of pu-erh tea may be aged to deepen flavor. The Chinese term for these aged teas is 'hei cha' and they are considered the best pu-erh teas. Both raw and ripened pu-erh teas are sold in loose leaf form. They are also commonly available as brick tea (Juan Chan), cake tea (Beeng Cha), mushroom shape (Maw Gu Toaw), and bell shape (Toa Cha). Sheng pu-erh teas are made by harvesting the leaves and minimally processing them. Sheng tea is often called mao cha, or unfinished tea due to its natural flavors that can be bitter. While astringent flavors are the norm, the full bodied, thick feel of this pu-erh makes it incredibly popular. 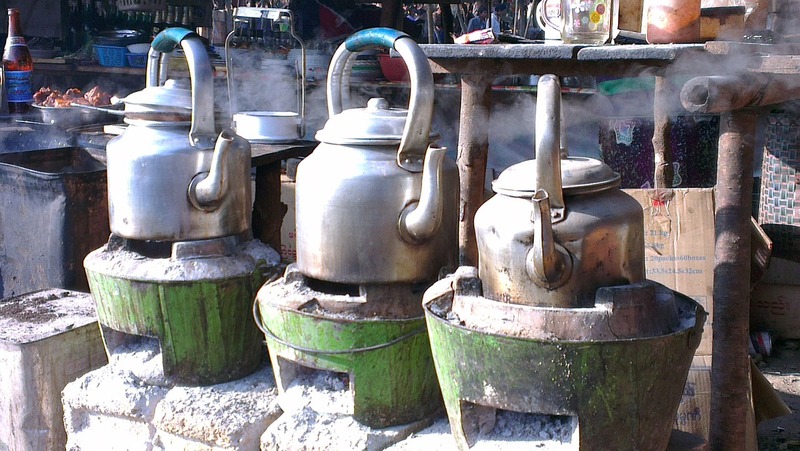 The leaves are lightly steamed and typically pressed into cakes known as bing cha. These cakes are wrapped in rice paper and sold in tea shops and local markets. Sheng tea is traditionally aged for at least 10 years before it is considered drinkable. The tea leaves are aged in varying, but wet climates to draw out flavors. Sheng pu-erh is often aged in Asia, particularly in Malaysia, Thailand, Southern China, and Hong Kong. Western climates are not nearly as hospitable to pu-erh tea production and it is extremely rare in practice. Some producers age Sheng tea in hot and humid environments while others prefer use cool and less damp warehouses. Either way, bacteria, mold, and yeast thrive on the tea leaves during the aging process. These compounds alter the flavor profile and create rich, nuanced pu-erh tea. Sheng pu-erh is often aged for decades. 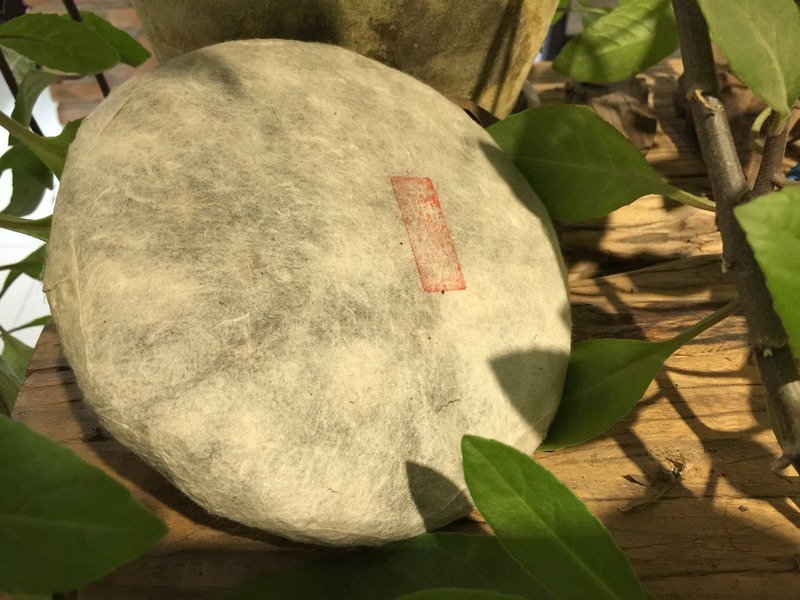 The young sheng teas are typically aged for 10 to 15 years. 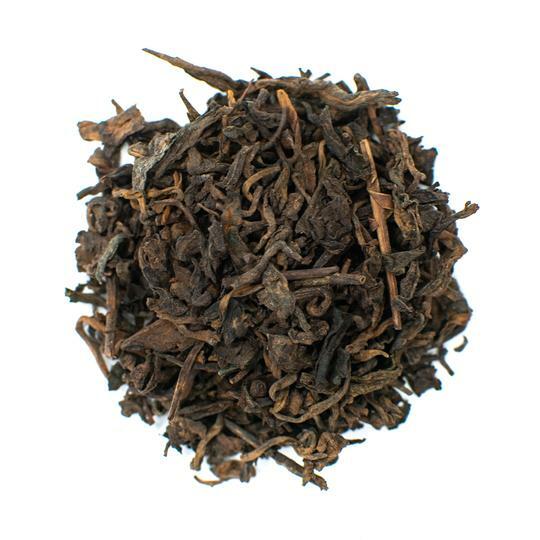 Young Sheng tends to have strong, fresh flavors that relay hints of grass and vegetal notes. 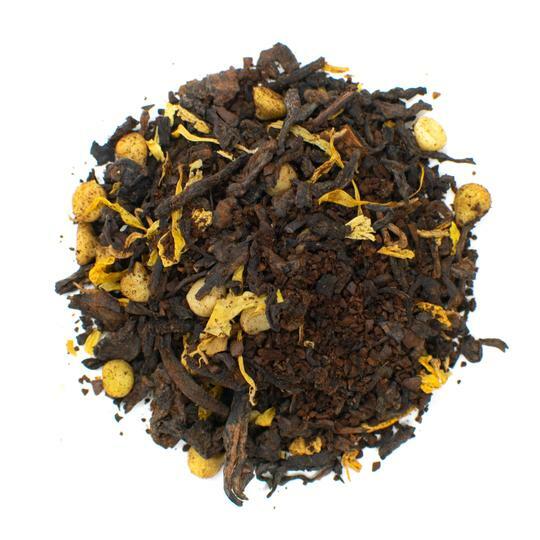 Our French Vanilla Pu-erh Tea is ripened and then sweetened with vanilla resulting in a delicious butterscotch flavor. Shou tea is often called ripe or cooked tea. While Sheng teas require an extensive production process, Shou tea was created to speed up fermentation and imitate well-aged Sheng teas. Shou tea is created by adding an additional phase to the standard production process. The leaves are harvested and then placed into a large pile in an enclosed space—this is known as the cooking phase. Here, the leaves are kept moist and hot for a period of around 60 days. This encourages the growth of mold and bacteria that lend unique flavor. The leaf pile is constantly turned over to blend the bacteria effectively across all tea leaves. After the initial production process, ripe pu-erh tea can be aged. Aged pu-erh teas are ready for consumption in as little as three months, but most don't develop full flavor until the five-year mark. High quality pu-erh teas can be aged for 50 years or more. Young Shou pu-erh can have a fishy flavor that mellows out the longer it is aged. Shou offers a crisp finish that is highlighted by floral sweetness. The flavor profiles become more complex with crisp, sweet notes. The process for brewing pu-erh tea is relatively simple and straight-forward. You'll first need to rinse the tea leaves and then decide if you want to brew the Asian way or the Western way. Shou pu-erh teas are robust and can be brewed at higher temperatures than young sheng pu-erh teas. Aged pu-erh tea should be brewed at 212 degrees Fahrenheit. Use water at 202 F for young sheng teas to avoid developing bitter flavors. Pu-erh tea is available in many forms including loose leaf and pu-erh cakes or balls. If you are using a packed pu-erh tea, break off 1 gram of pu-erh tea leaves for every 15 ml of water. Place the tea leaves in your tea cup or yixing mug and add just enough hot water to cover the leaves. Swirl once and immediately pour out the water. Rinsing the pu-erh tea leaves allows the leaf to open and provides a smoother taste. For the Western method, steep the leaves for three to four minutes. If using the Asian method, steep the leaves in increments of 10 seconds for each steeping. In essence, the first steeping will be 10 seconds, followed by 20 seconds for the second steeping. In general, you can brew pu-erh the Western way two to three times, or six to eight times the Asian way. Pu-erh tea is one of the only teas in the world that is aged. The gaining process develops rich, nuanced flavor that is sure to please most tea drinkers. Try green or ripened pu-erh to uncover which variety excites your taste buds. Pour yourself a cup of good pu-erh tea and enjoy!